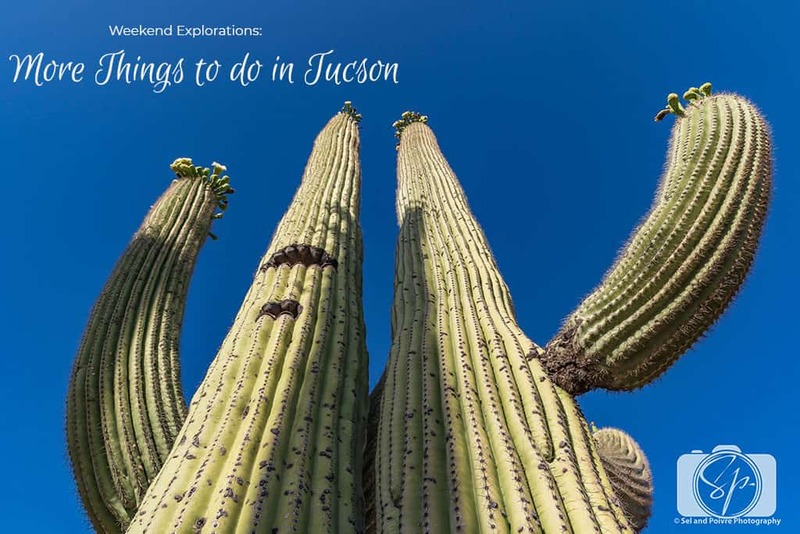 As I mentioned in my post on our first (second and third) Airbnb experiences, when our original plans for Memorial Day weekend fell through we shift our focus to Tucson. During our first weekend explorations and for every trip following we were completely enamored with Arizona’s second largest city. The funny thing is, at least Mr. Misadventures and I find it humorous, is that we haven’t really started exploring the main attraction, or one of the main things that attract us, the fact that is a UNESCO city of gastronomy! That just goes to show how truly awesome Tucson is! 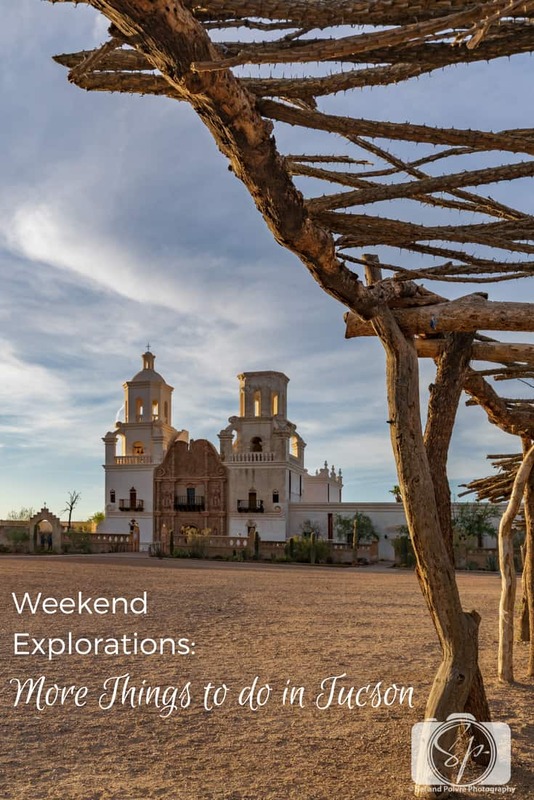 For the long weekend, we used Tucson as a home base as we explored inside and outside the city, including parts of Southern Arizona. Given the holiday weekend, I expected crowds, but in fact, everywhere we went it was the opposite. We had Tucson and the surrounding to ourselves – it was delightful. My guess is that the university students had just left and summer tourists had not yet arrived, whatever the case, me likey! Here’s how our weekend played out. When it comes to sunrise and sunset photography, you have to be ready for anything. On Friday we left Phoenix about 3:30 and drove to Tucson, we dropped off our clothing and food supplies at our Airbnb and headed straight to the San Xavier del Bac Mission to do reconnaissance for a sunset shoot the next morning. When we arrived the sky was gorgeous, the mission was empty and the clouds were happening! On our previous visit, there had been a lot of scaffolding on the building as there is ongoing renovation work taking place. This time the visible construction was minimal and we had the mission to ourselves (except for a few people who headed up the grotto hill to watch the sunset). Having had such good luck with the sunset shoot, Mr. Misadventures said we didn’t need to get up at 4 a.m. to do a sunrise – hooray! I love that kind of photo luck! 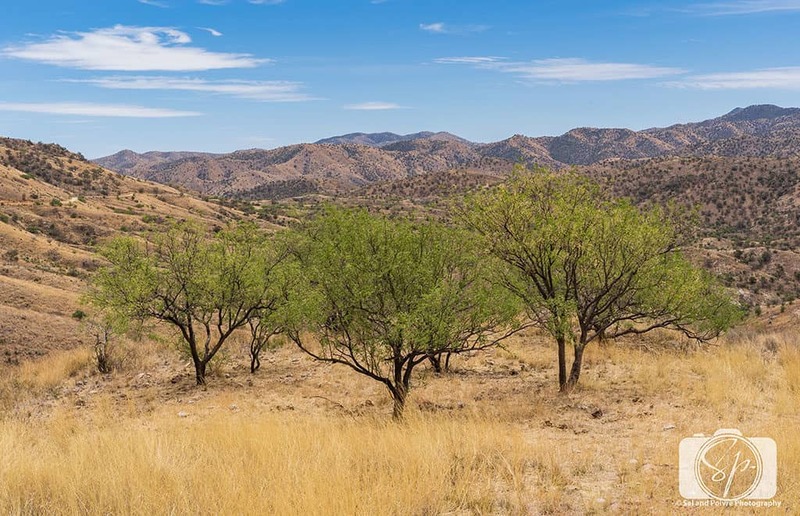 Our main objective for the weekend was to check out the Patagonia and Sonoita area of Southern Arizona. All week when people asked me what I was doing for the holiday weekend I would say I was “going to Patagonia, but not that Patagonia!” There really isn’t a whole lot there, but Patagonia is a great little town to pick up supplies, they have a great organic market, and use it as a starting point for hikes and bird watching. The area is well known for birding but is also a sleepy artist community. And the entire area with Sonoita Creek is great for wine-tasting. And right down the road is Patagonia Lake State Park which is very active for boating and camping. After spending some time in Patagonia and buying some organic tomatoes we headed to Ruby Road. This road is an offroad (4×4) byway inside the Coronado National Forest. 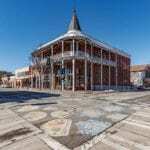 It’s named after an old mining camp that is now a ghost town you can visit. It’s supposed to be quite beautiful to see the fall foliage so we wanted to drive the 20 miles to map out spots we’d want to return to in the autumn. This is also where we started seeing all the warning signs about being alert for illegal crossing and smugglings. The US-Mexico border is about 50 miles away from this area, but for the next 2 hours as we made our way along the 20 miles (the road allows for about 10-20 mph) we passed border patrol agents every 5-10 minutes and were even buzzed by a border patrol helicopter, so I’m pretty sure there was no risk of us running into anyone! Apparently, it is worse at night, so I’m not sure if a sunrise or sunset shoot on this road is in our future, but it certainly is gorgeous in this area. From Ruby Road, we headed back to Tucson with a stop in Tubac. 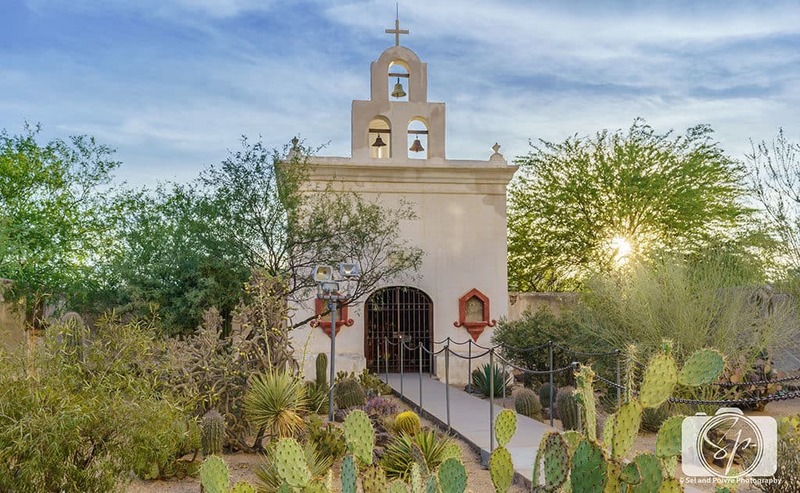 Tubac is a little artist colony and Arizona’s oldest European settlement. It was once the site of a Spanish presidio and has become quite popular as a resort stop. There are beautiful homes and they do an architectural tour in January. It’s got over 100 art galleries, studios, and shops. For us, it’s not really our thing (although I would like to do the tour) so we walked around a bit and headed back to Tucson for a break before our evening activities. After an hour or 2 enjoying our Airbnb, we headed out to Saguaro National Park for a sunset shoot. Our objective was to photograph the petroglyphs on Signal Hill with the saguaros in the background during sunset. The park was practically empty and we had Signal Hill practically to ourselves except for a couple who were doing a time-lapse video of the sunset, but they were facing so we all had plenty of space to move around. Once Mr. Misadventures got set-up we had an hour to wait for sunset (ah the life of a photographer’s wife!) 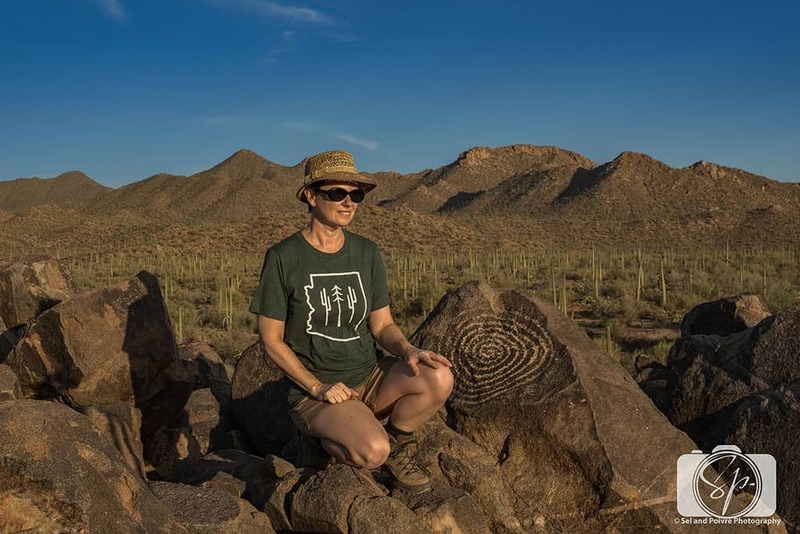 so we played around with photos by the petroglyphs that were left by the Hohokam people, one of the four major ancient cultures of the Southwest, sometime between 200-1460 AD. And they’re still there! 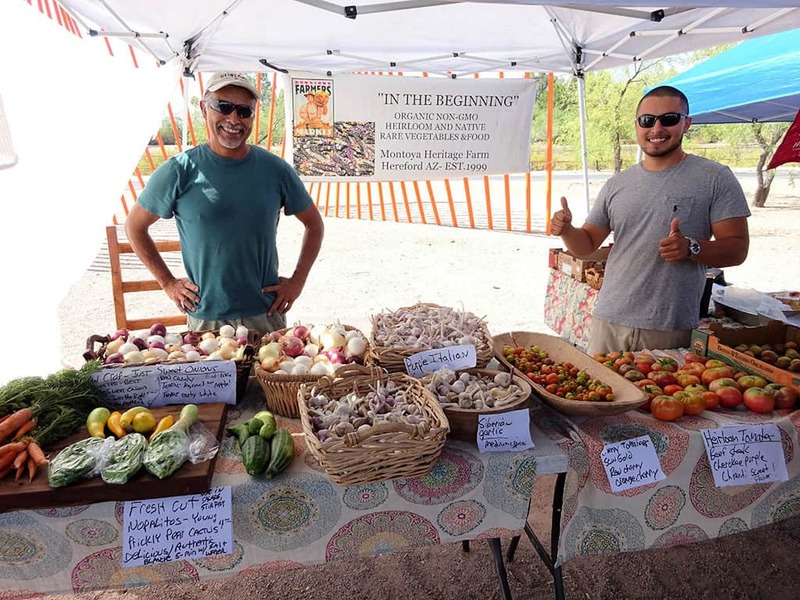 Sunday: Rillito Park Farmer’s Market, Mt. Lemmon & Tacos! Sunday morning we woke up and headed to the Rillito Park Farmer’s Market. We had been so disappointed with the farmers’ markets in the Phoenix area, we did have big hopes for what we find. Boy, were we wrong! Unlike the arts and crafts shows masked as vegetable markets we’d previously been to, this one was the real deal and we wandered around buying a few tomatoes, some delicious radishes which we would picnic on later, and eyed some lamb. We are heading back to Tucson next month and will definitely hit this market again! With our tomatoes and radishes stowed away, we headed to Mt. Lemmon. Every time we ran into someone in the Tucson area or discussed Tucson with someone, they always said: “go to Mt. Lemmon.” I wasn’t sure what I was expecting, but it wasn’t to be as wowed as I was! Mt. 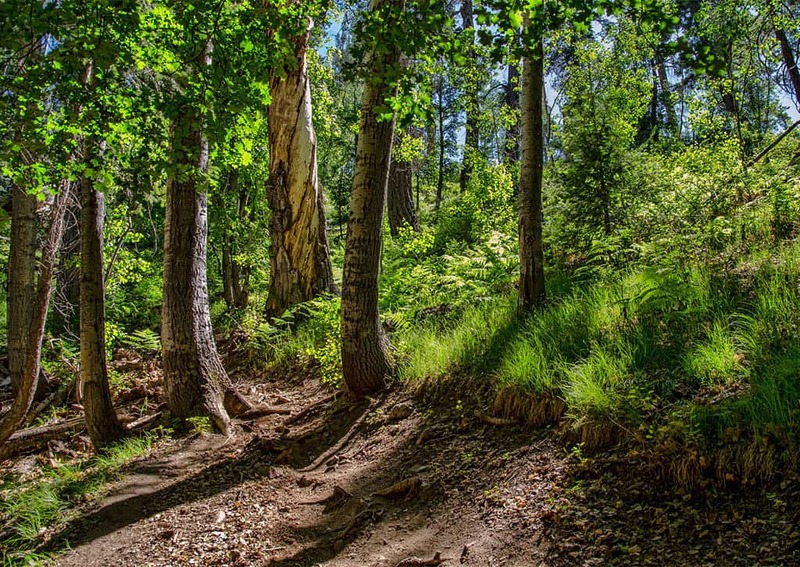 Lemmon is part of the Santa Catalina Mountains inside the Coronado National Forest and is about 90 minutes from downtown Tucson. 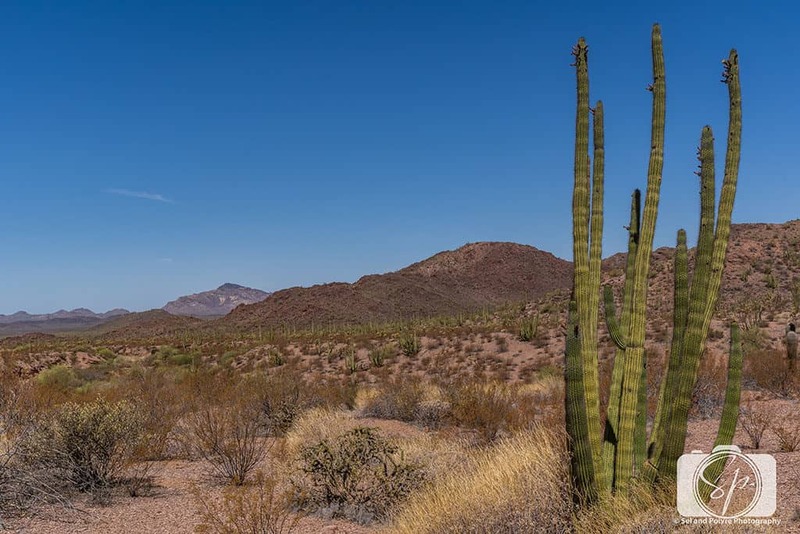 It rises from the Sonoran desert to an elevation of 9,159 feet! The journey up the mountain is quite impressive. From the bottom until about 4,000 feet there is an impressive batch of saguaros. There are lookouts along the way (and do be cautious there are a TON of cyclists). When you continue to rise in elevation you pass a series of hoodoos and sycamore trees. Climbing further you get into aspen trees. It is called the Sky Island Scenic Byway and it is just gorgeous. There is skiing up here (yes, the second place we have found in Arizona, yes Arizona, where you can ski! The other being Flagstaff.) with a little ski town and then further up an observatory that also has a many hiking trails stemming from it. We went from 95 degrees to 60 at the top and it was a delicious way to cool off. We will back to see the late fall foliage in the autumn and for some night photography near the observatory, and heck, maybe even some skiing this winter! After a few hours exploring Mt. Lemmon, we headed back down the mountain and into Tucson for a late lunch. Tucson is known for its tacos and has a famous 23-mile Mexican food trail. When it comes to exploring food in Tucson we are just getting started. 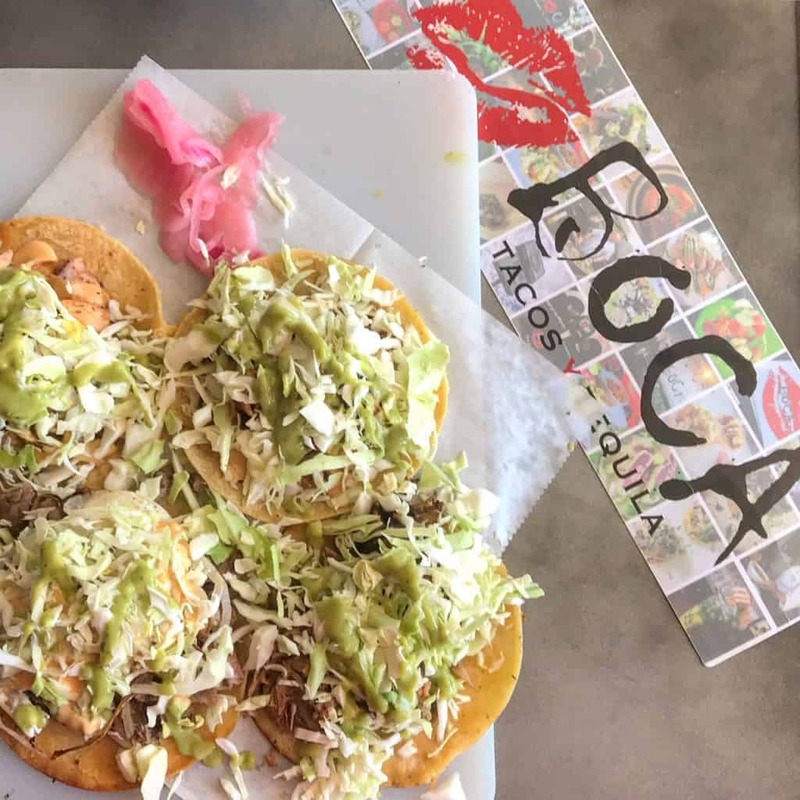 We decided to head somewhere close to our Airbnb and opted for Boca Tacos which is near the university and popular with students. Our intent was to stick to our low carb diet and they advertised cabbage wrap tacos, but they were all out and I had to go for the “real” deal (although Mr. Misadventures did do a salad because he is less tempted by tacos than I am!). I got 4 as you can see, one was actually meant for the hubby but he declined. I would have eaten them all except they just weren’t that awesome. I did the ribeye with a poached egg (2), octopus and shredded pork. The shredded pork one was delicious, but I would pass on the other two. The shells were really good, very fresh and not too greasy, but I wasn’t a fan of the fillings. I’m not too concerned, with 23 miles of Mexican food, there are plenty of other spots to try! On Monday morning we got up early and said goodbye to Tucson leaving our weekend home base for Pipe Organ National Monument. It’s 3 hours from Tucson and 3 hours from our home in the Phoenix area so we decided to make a day trip of it to explore the park to see if we wanted to return at a later date. 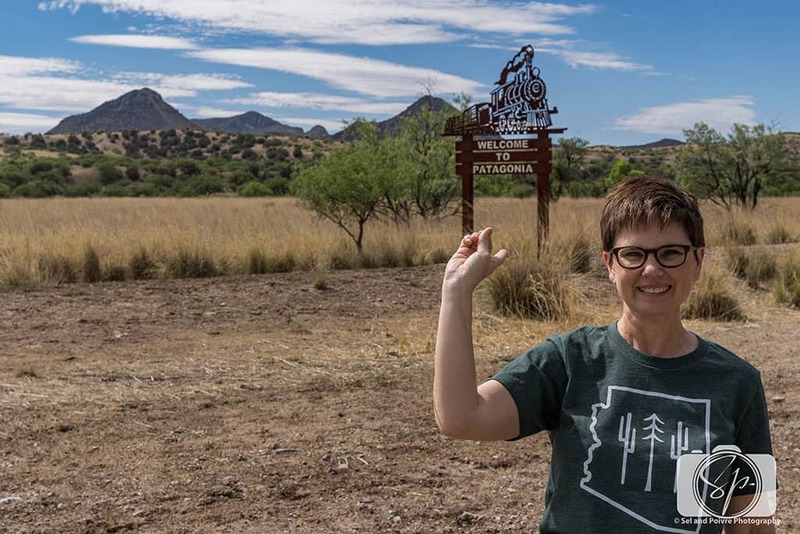 During our RV trip we visited a lot of national refuges and monuments, but nothing that felt as remote as the road to Organ Pipe from Tucson! X takes you through the Tohono O’odham Nation right along the Arizona/Mexico border. Let’s just say there ain’t much there! We did pass the road to Kitt’s Peak another seemingly beautiful spot with a renowned observatory, but we were there too early, the road to the peak was closed. We stopped here and there to take a few photos of saguaros and then arrived at Organ Pipe (although not before going through another border patrol!) we stopped at the visitor center and picked up a map and plotted our course. There are 2 main routes through the park: Ajo Mountain Drive and Puerto Blanco Drive. We chose Ajo Mountain Drive which is the shorter of the 2. You can drive these roads without a 4×4 but it’s going to be a little rough. We took our time and stopped a lot for photos. 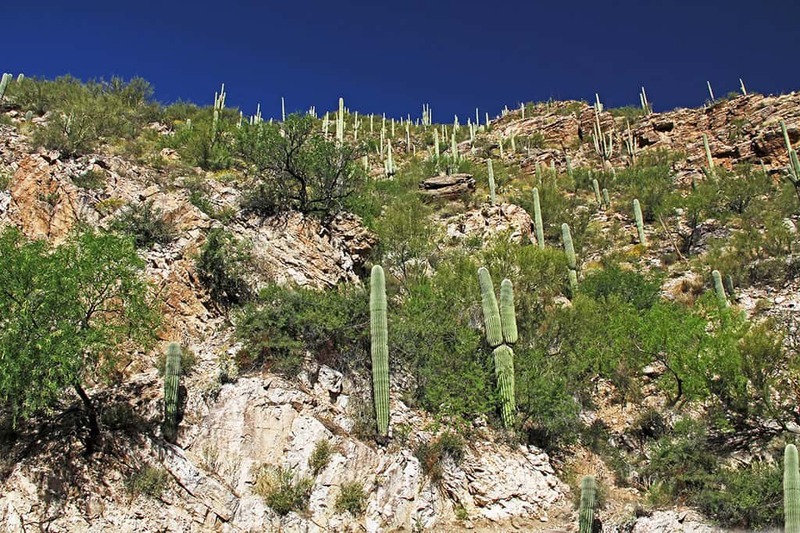 Organ pipe cacti, look like, well, organ pipes and are rarely found in the US. The vast majority are found inside the 330,000 acres that make up the national monument. 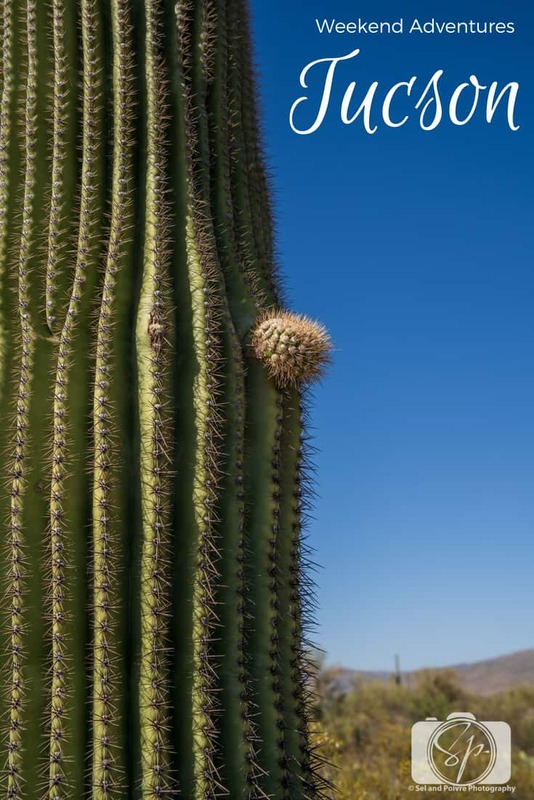 Besides the organ pipe cactus which gives the park its name, there are also a lot of saguaros. The landscape is quite beautiful and we definitely want to return in the autumn. 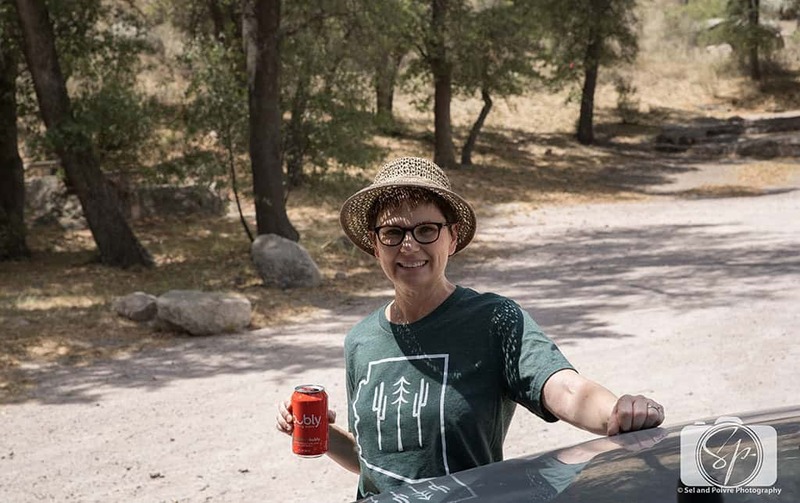 After finishing the Ajo Mountain Drive we drove a few miles on Puerto Blanco Drive to a picnic area where we enjoyed lunch alone. In the 4 hours, we spent in the park one car passed us on the trail! There is a wildlife refuge, a lake and another park in the area so I could definitely see spending more time here although I don’t know quite where we’d sleep! Maybe Ajo which is a small town we saw a few miles after the park on our way back home. All in all, it was another fabulous weekend in Tucson. We still have only scratched the surface of things to do in this area and we look forward to more explorations coming up! How about you? 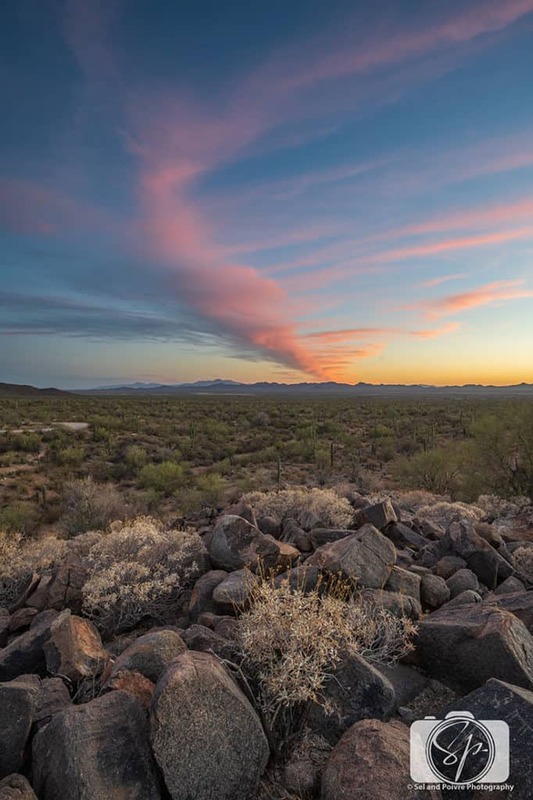 Have you explored any of the amazing things around Tucson? Have more spots for me to check out? Do tell! 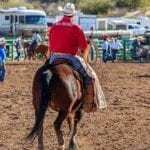 Arizona Weekend Adventures – Rodeos! Those photos are so beautiful. I have always wanted to go there. I think it looks like an amazing place to be. It would make for a great vacation. 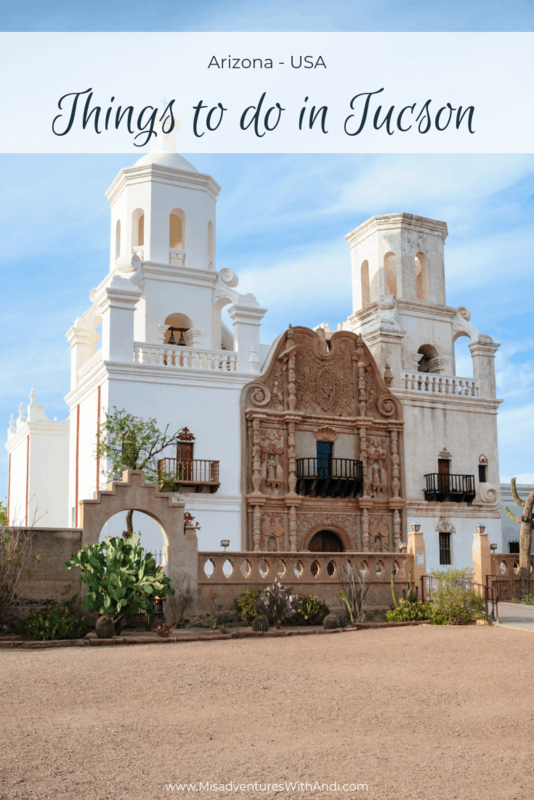 I would love to see all of those gorgeous Spanish missions! I have never gotten to visit the Southwest yet but I really want to. It looks so different from anywhere I’ve ever been so I’m very fascinated and intrigued by the region! 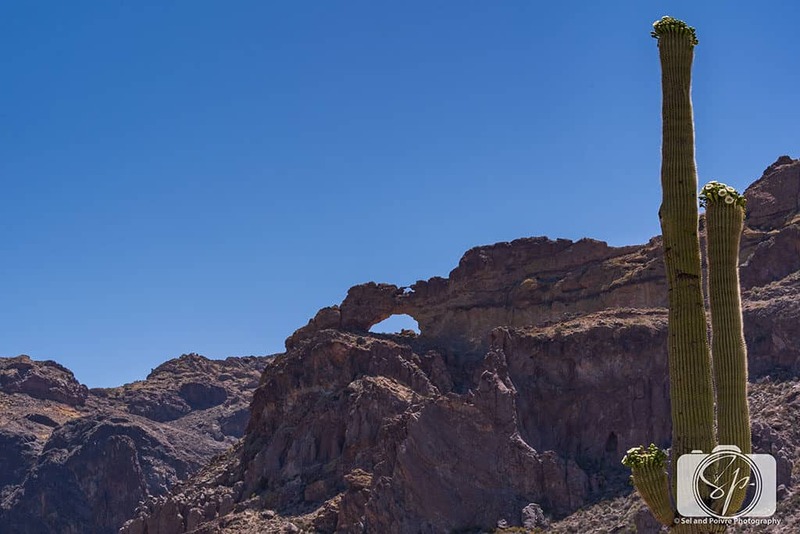 Patagonia and Organ Pipe aren’t that close to Tucson. If I draw that circle around the Old Pueblo, I’ll be listing things for hours. Let’s stick to some cool photo ops for the hubs. Check out the ponds at Agua Caliente Park on the far east side. There are some amazing views of the Santa Catalina’s over the water at Agua Caliente. I love the boulders on west side of Gates Pass too (on the way to the Desert Museum). As soon as you go over the pass you’ll see them. You can hike out and climb up on top fairly easily. Tanque Verde Falls is nice when the water is running, but the views are very candid / interesting 😉 Starr Pass Marriot or Jenn’s old haunt of Ritz Dove Mountain have great sunsets and the uber luxury thing going on. Our favorite farmer’s market was St Phillip’s Plaza, so if you’re out that way you can check it out. That list should keep you going for a while. If you want a fun loop trip, try heading south from Sonoita and coming to Sierra Vista over the pass. Make sure you check out the cave at the visitor center too and try on the Spanish armor. That’s enough to keep you busy for now. It is amazing how lush green looks when surrounded by dry brown landscapes. I’ve never actually seen a cactus growing outside in its natural landscape before. Hoping to get out west sooner or later to take in the scenery in all its glory and explore stunning places like the ones in your pictures. Tucson looks beautiful! I have a couple of friends who live there and they are always trying to get me to visit ! I didn’t know they had signs for border control, learn something every day! Wow Tuscon is so pretty and different than anywhere I’ve ever been before. Those sunset pictures are incredible, and gave me the travel bug to go see them in person. It sounds like y’all had a great trip! I loved Arizona, I just couldn’t get past the heat. Sedona was my favorite! Your photography is so beautiful, you really captured the beauty of Tucson 🙂 I totally want to visit now! I haven’t explored anything out in the West yet except for Salt Lake City. I loved your photographs…the sky was especially striking in the sunrise and sunset photos! Tucson looks like it has so many beautiful sights to see. I have always wanted to visit! I’ve never been out west at all, or at least not yet. However Tucson looks beautiful, these pictures are completely breathe taking and makes me want to go take a trip there. I’m totally obsessed with cactus and I’ve never seen one like that, so cool. 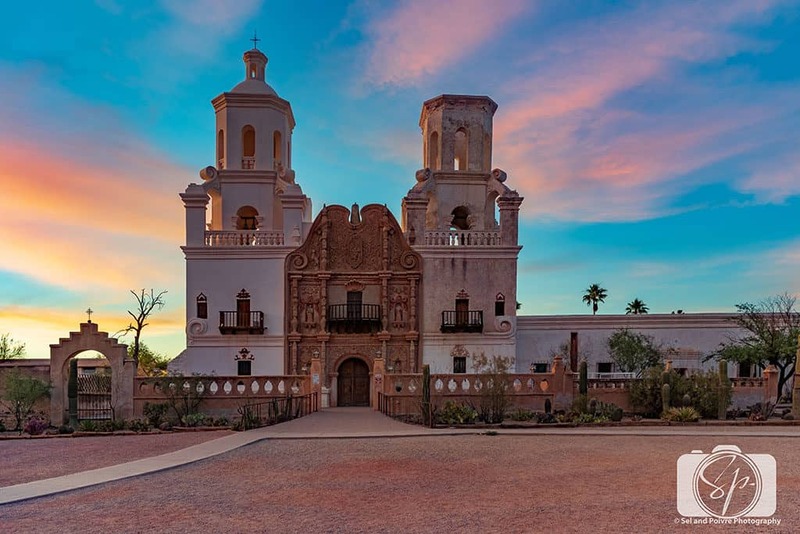 The picture of the San Xavier Mission is incredible. Loved this post!